There is more sun to bask in when holding a lunch event while reveling in comfort of family, friends, and colleagues. 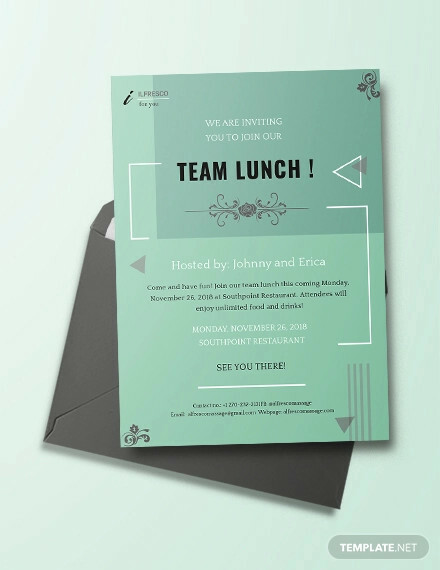 When the event details have been planned out, it’s time to inform your potential guests about your upcoming lunch event in a form of invitation cards. 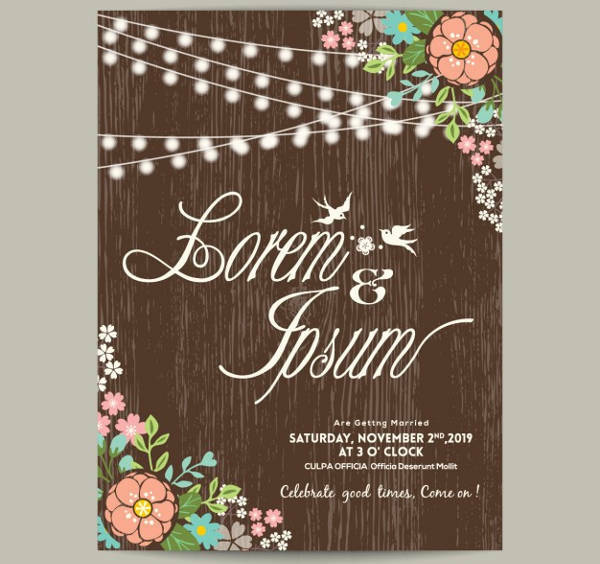 It could feature minimal, floral or even potluck invitation designs. 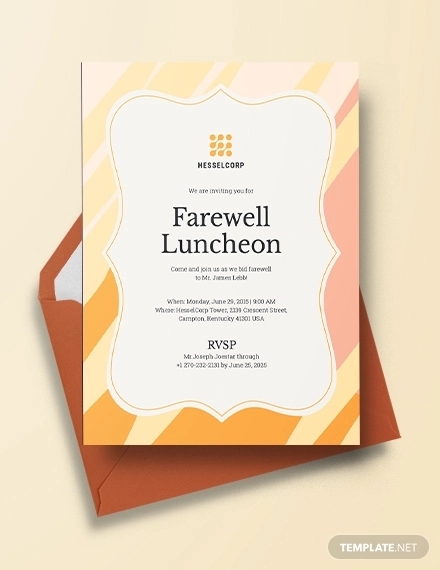 To get you started, we have a collection of lunch invitation cards that you can use for events. 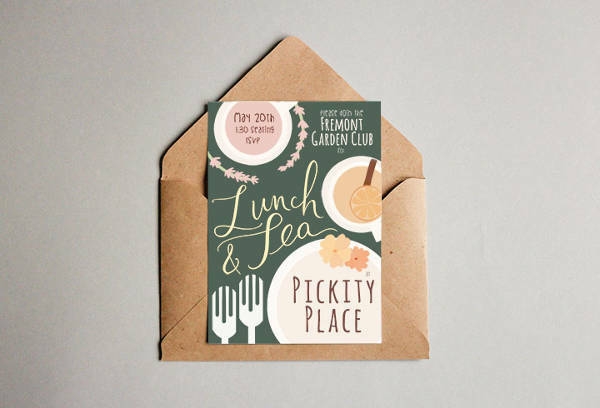 If you are looking for designs that are beyond the lunch theme, we’ve got you covered with out list of invitation designs. We promise you that all of these are downloadable. 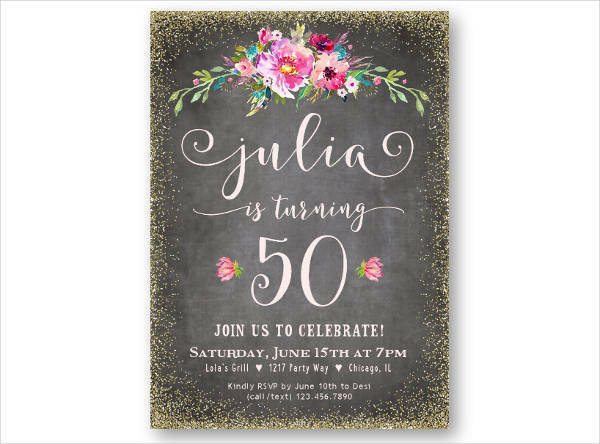 If you are looking for a modern take on female themes, the Lunch Birthday Invitation is a great choice. It mixes glitter and the softness of floral elements with a touch of industrial designed background to contrast the hyper-feminized elements. It is not a grumpy lunch invitation theme to have for your invitation card for a septuagenarian celebration. In relation to the previous example, we have another glittered lunch invitation design. The Custom Lunch uses fun and hand-written typographic elements and is decked out with gold glitter and a pop of pink. This type of design has a modern take on elegance. You might also want to view our elegant invitation designs. 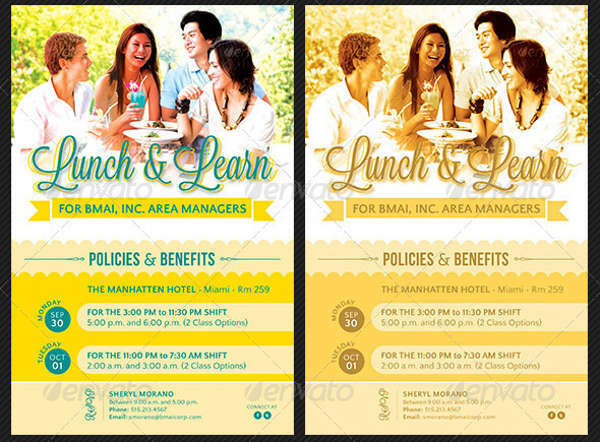 The Corporate Lunch Party comes along with four color variations and offers positive space for the text. It is easily editable since it has organized layers and it is provided in a high resolution of 300 dpi, meaning it is perfect for print. 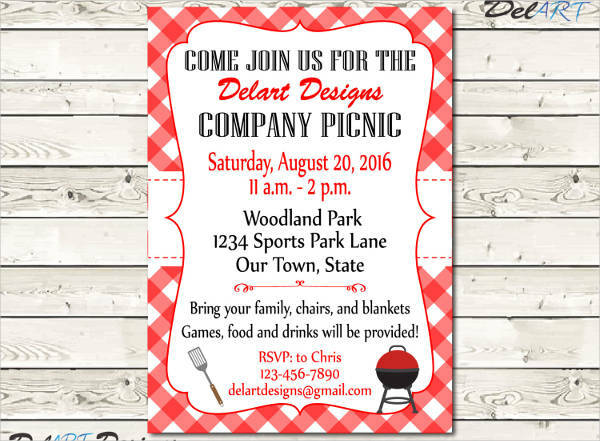 The checkered white and red stripes tablecloth are prominent in the BBQ Lunch sample. It is a classic background that will be perfect to add in a picnic get together. You could also browse through our heap of creative invitation designs that will be useful for any events. 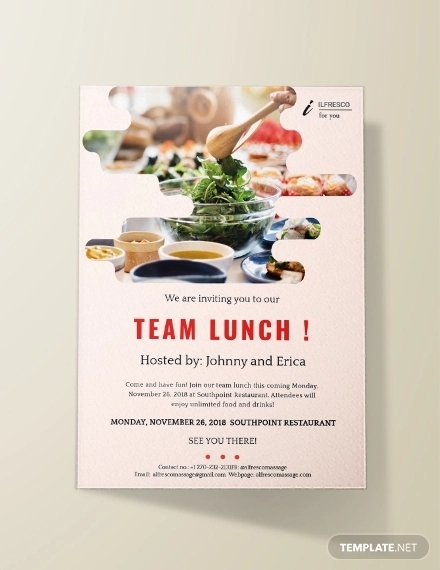 If you are looking for a delightful digital illustration, the Free Lunch sample offers that design style. It comes along with delicate and hand-written typography and it uses a soft color scheme perfect for a tea party. 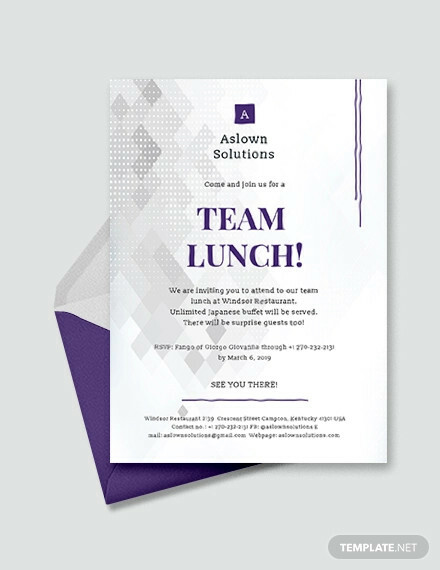 The Appreciation Lunch is designed with shades of blue and splatter of purple watercolor wash and has a blended contrast with the fine and serif fonts used. 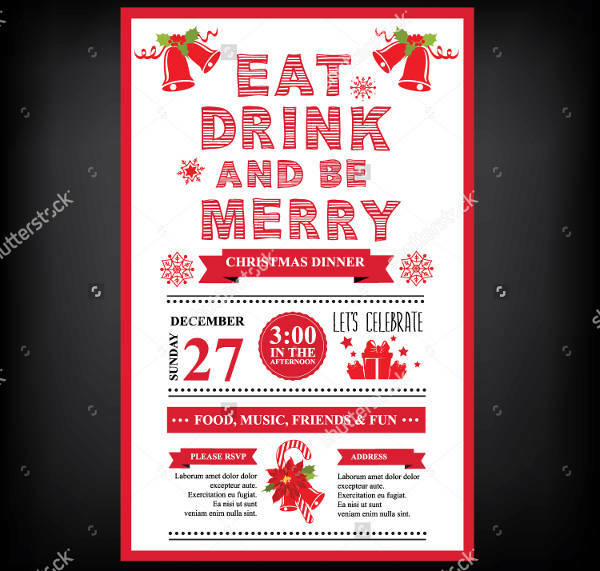 The layout used is appropriate for the type of invitation card and offers a high-resolution file. You may also check out our pile of cocktail party invitations for an after-party or any merrymaking events. Planning and having a wedding could be stressful but with a cohesive theme, it is easy to incorporate such on invitation cards. If you are looking for a shabby chic theme with a touch of digitally illustrated floral and lighting elements, the Wedding Lunch is available for you to use. The holidays are a jolly event to revel in. The Lunch Card is merry and festive as well as having a cohesive layout appropriate for all readers of age. Pizza plans are sure to be attended. If you are considering to plan a pizza party then look no further in looking for an invitation card. 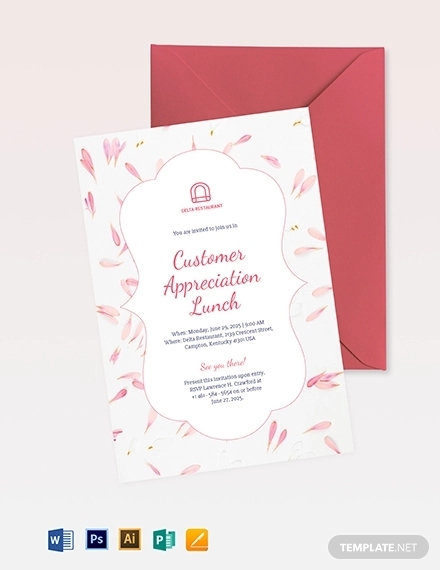 We’ve got you covered with the Pizza Lunch that uses a dominant red and yellow color scheme that is finished off with a pop of color to create an emphasis on the event name. In relation to pizza, our list of cardboard packaging designs does include a variety of food packaging that you can utilize. Just make the sure the material is safe for packing food.